With the consumption of electricity on the increase worldwide, it is no surprise that electrical substations are becoming more and more prevalent. The problem with all of these sites is that they emit annoying sound. The closer a substation is to a residential area, the higher the demand for noise mitigation regulations. Now, municipal sound ordinances are commonplace. Traditional methods of sound reduction included erecting aggregate or concrete sound walls with a solid core to bounce the noise in a different direction. These electrical substation walls helped the first problem but created more noise in other areas further away. 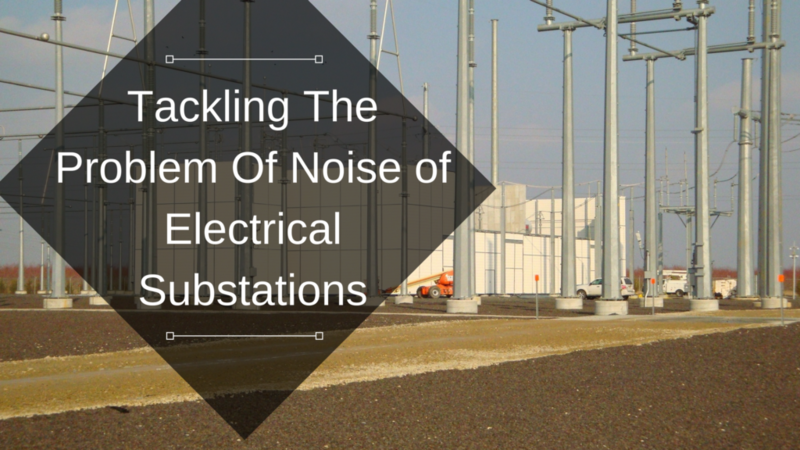 Noise mitigation around electrical substations poses a unique set of problems where both high and low frequencies are emitted, and each range requires a unique solution. The use of sound-absorbing material rather than reflective materials is a much more effective answer to the noise pollution issue because you do not have to use two methods to eliminate each frequency group. The biggest advantage of using our sound absorbing walls is that we eliminate the problem of redirecting noise back into the community. Our sound walls are perforated to let sound into the core. Once inside, sound waves take a long trip around meandering corners and long paths to get rid of the sound energy. With our sound absorbing panels, you remove all types of sound with a lightweight, versatile, appealing, and durable product. Our noise mitigation walls have an NRC sound rating of 1.05 meaning that they are completely sound absorbing. We offer portable and fixed sound wall construction with custom applications. To find out more about reducing the noise of your electrical substation, please give us a call today!